Here are a few of the many contests and challenges that we offer. Much like the scramble format, this hole becomes a team effort with each player in the foursome contributing to the final score. We'll measure the distance of each ball, as long as it stays in the grid, and radio it back to the tee box. Then, add up the points of each player in the group. The foursome with the highest score wins and receives trophies during your award ceremony.. Each player that hits within the grid, receives a free sleeve of balls. 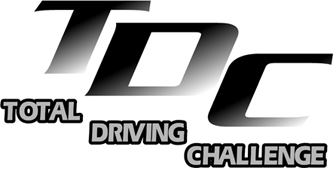 Our elaborate setup and fun driving challenge is bound to impress everyone at your tournament. Only balls within the grid will be scored. Unlike most "closest to the pin" contests which only reward one player, the Par 3 Challenge involves the entire foursome. Your players will have fun putting pressure on each other to get the ball close and produce the highest score. Each ball is measured and given a point value based on the distance from the pin. Again, the foursome with the highest point total wins. That foursome too will receive trophies with your tournament's name on them. 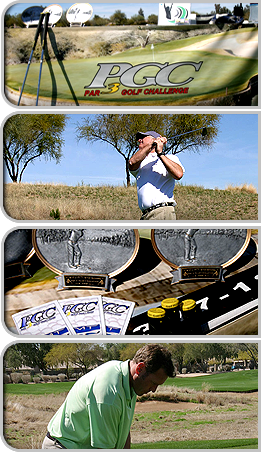 Our elaborate setup and fun par challenge is bound to be another hit at your next tournament. Only balls on the putting surface will be scored. All distances will be measured from the pin.